A right whale is visible from the beach in Wells on Monday. There are only about 450 right whales left on the planet, and there are several pending lawsuits that are calling for more protections. That could include new restrictions on Maine’s lobster fishing industry, because right whales are susceptible to entanglement with fishing gear. Scientists can identify most of the individual right whales that are out there. 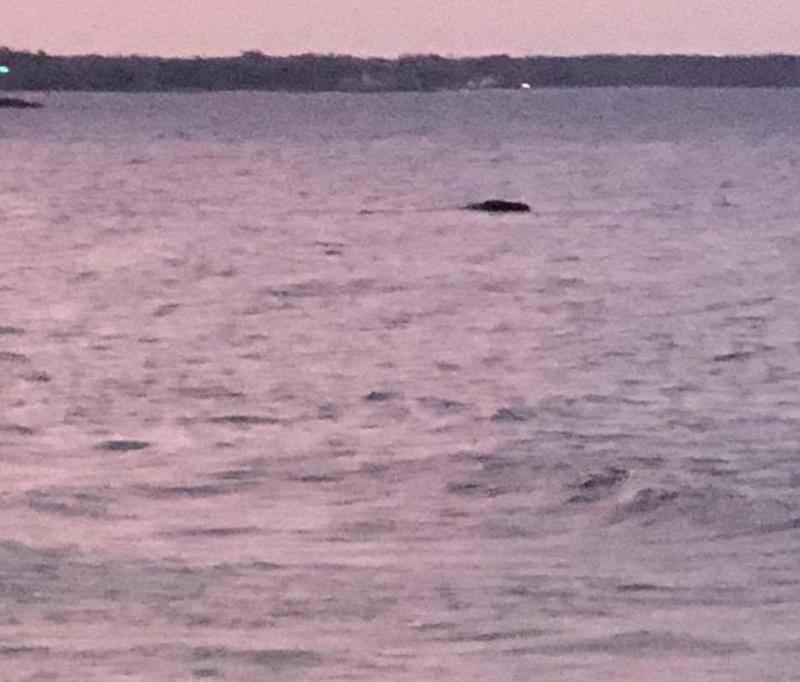 Work is underway to identify the animal just sighted off Maine. And Wells police are warning boaters to stay clear of any whales they see. This story was originally published May 14, 2018 at 3:53 p.m. ET.